You are here: Home / HVAC Info & Articles / Articles / Burlington Air Conditioner Replacement: Is Now the Best Time? Burlington Air Conditioner Replacement: Is Now the Best Time? Is it time to replace your air conditioner? Maybe your AC is getting old and starting to need frequent repairs. Maybe your home isn’t cooling as well as it used to. Perhaps your energy bills have been going up during the cooling season. If any of these things describe your situation, it may be time to consider Burlington air conditioner replacement. It is a good idea to have your system replaced before the weather gets so brutally hot that you are running your AC daily. In the offseason, HVAC (heating, ventilation, and air conditioning) companies are not as busy as they will be during the heat of the summer. If you are not sure if you are ready to replace your AC, consider the following benefits. Efficiency. A new air conditioner will be much more energy-efficient than one that is 8 years old or older. If your AC is 15 years old or older, it is most likely reaching the end of its life. New air conditioners cool better and use less energy to do so, meaning your bill will be lower after replacement. Technological advances. New technology in air conditioning design goes way beyond efficiency. There are more options such as programmable thermostats, zone cooling, different blower speeds, and more. A new system gives you more options for cooling your home. Avoid costly repairs. 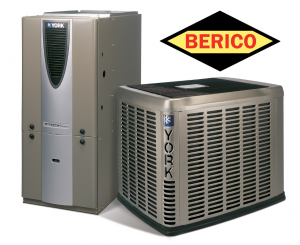 As your system ages, you may find that you have more AC problems in Burlington. Regular maintenance can help keep it running smoothly, but some problems can lead to expensive repairs. If you are faced with the decision to have a costly part replaced or to buy a new system, it is most likely in your best interest to replace the entire system. This is especially true of systems that are 10 years old or older. Tax credits and rebates. When you upgrade to an energy-efficient air conditioner, you may be eligible for certain tax credits. Even your local utility companies may offer rebates because you are helping to save energy with your new system. Environmental benefits. Of course, when you upgrade to an energy-efficient AC unit, it makes a positive impact on the environment. By cooling your home more efficiently, less energy needs to be created. This is especially important in areas where electricity is created by burning coal and other less environmentally friendly means. If you are in need of air conditioning replacement in Burlington, or just having AC problems, Alamance Oil can help. You need an expert opinion on whether or not you should repair or replace. Our certified technicians can evaluate the condition of your current system and make a recommendation on repair or replacement. We will install your new system properly to ensure proper function. We can even correct any previous wrongs from the installation of your old system by another company. Alamance Oil will install the right size system for your home and make sure the accompanying ductwork is correct as well. Call us today at (336) 226-9371 to schedule a service appointment. https://www.berico.com/wp-content/uploads/2018/12/header-logo-new-3a.png 0 0 berico_admin https://www.berico.com/wp-content/uploads/2018/12/header-logo-new-3a.png berico_admin2016-04-05 08:50:462017-10-23 17:45:04Burlington Air Conditioner Replacement: Is Now the Best Time?